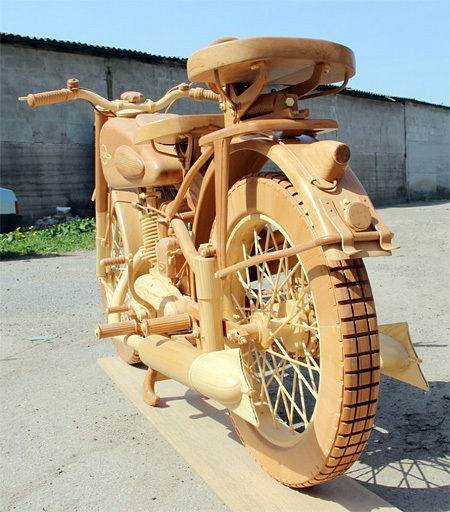 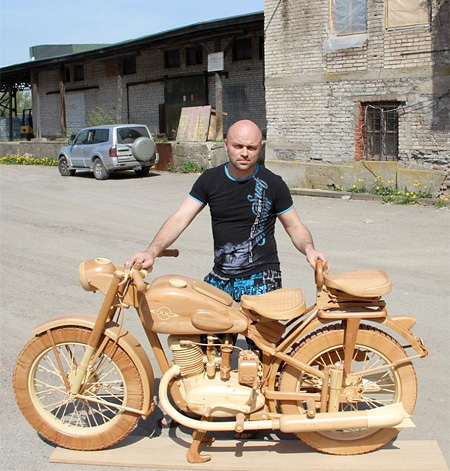 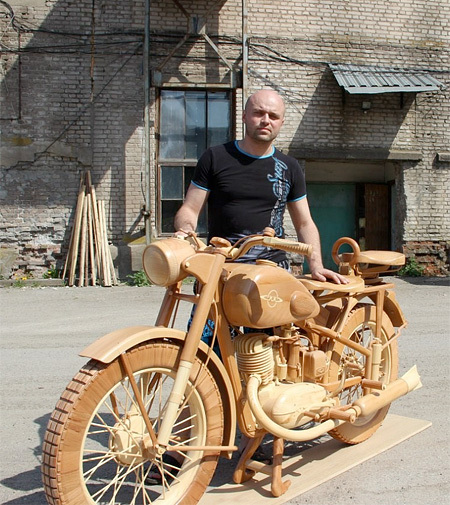 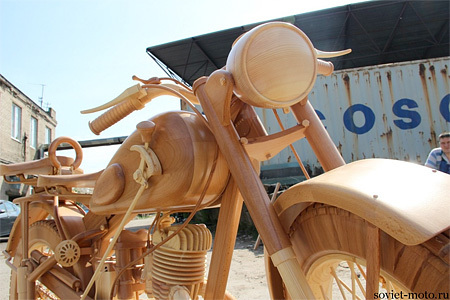 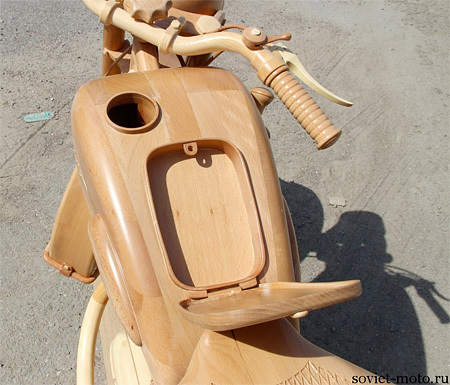 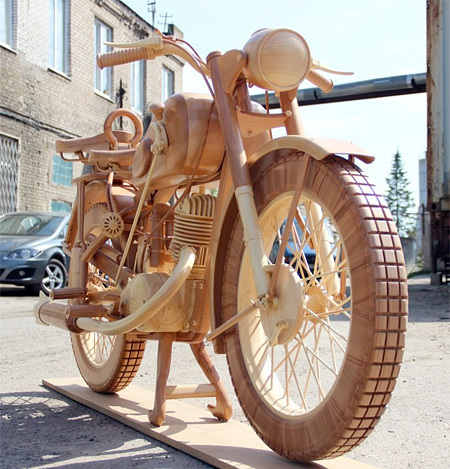 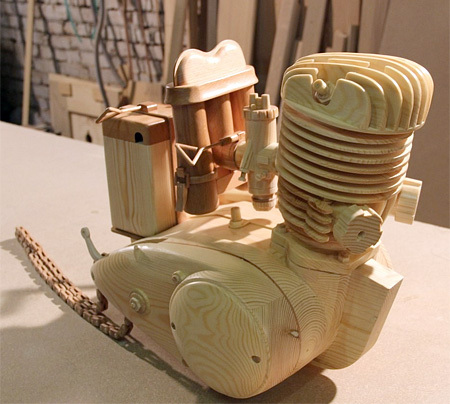 Detailed replica of IZH-49 motorcycle made out of wood by talented Russian carpenter Yuri Hvtisishvili. 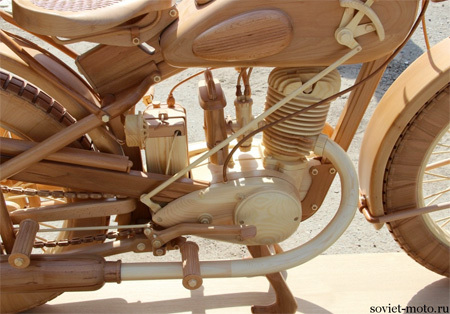 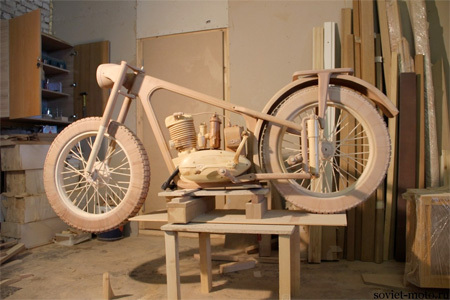 Engine, frame, wheels, tires, and other parts were carved out of wood and then assembled into a beautiful motorcycle sculpture. 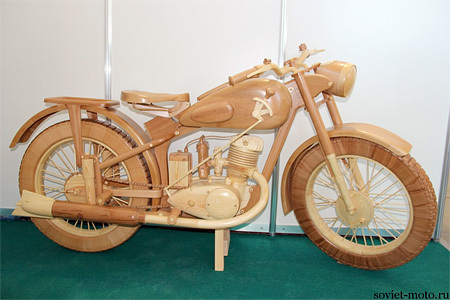 and now what are you going to do with it? 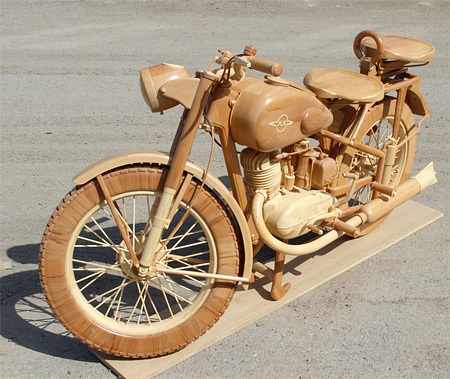 And you don’t have to worry about someone driving it away. 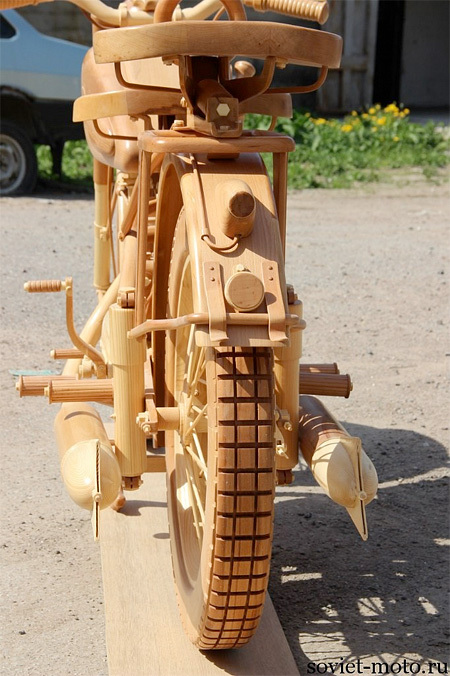 The Igorots from the mountain region of Baguio, Philippines has their own wooden bikes for transportation of their commodities (all downhill) by using gravity as their propulsion system over smooth roads. 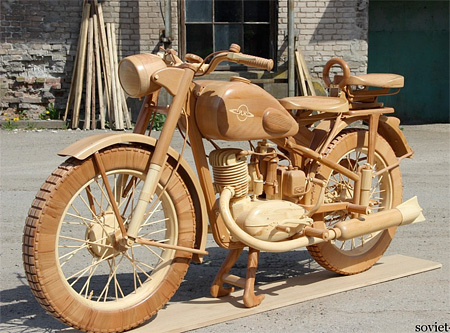 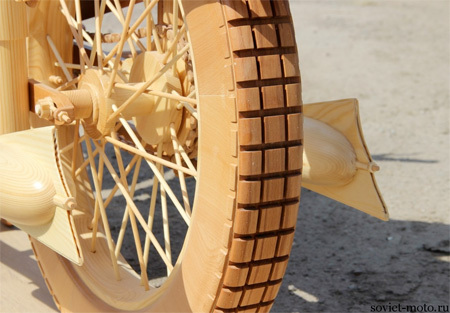 All wood, except for the wheels with fitted hard rubber (from old car wheels) for road traction; these wooden bikes has no chain nor pedals (not needed since its all downhill); but has a friction-based braking system like putting your foot on a brake pedal of a car. 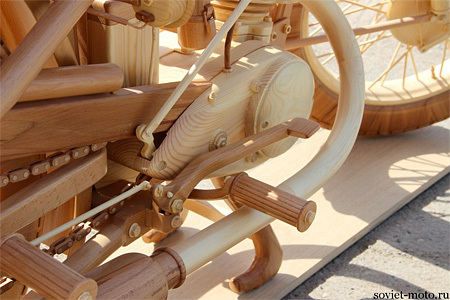 Some are designed with wooden lion heads (or other animals) wherein tourists sometimes purchase them from these tribes. 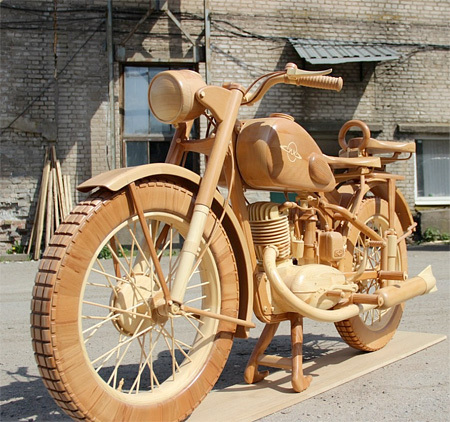 …waiting for the wooden driver!